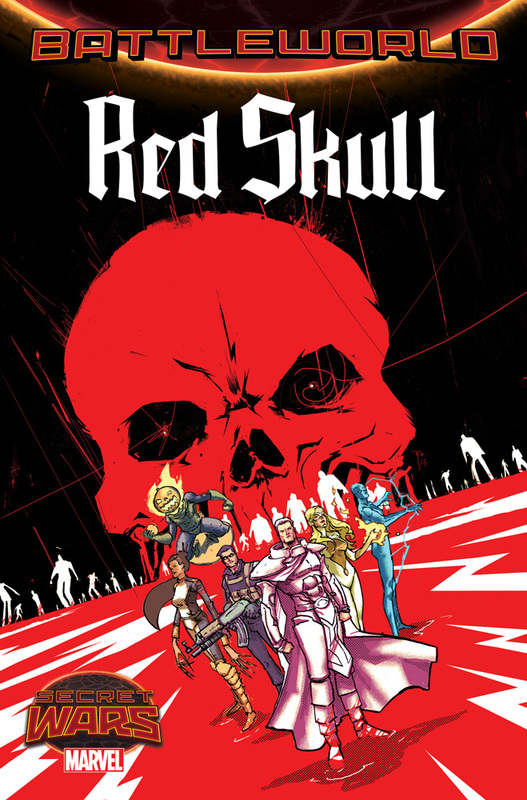 Secret Wars Battleworld: Red Skull and Spider-Island! This July, enter an arachnid-infested realm like you’ve never seen as SPIDER-ISLAND #1 crashes into Battleworld this July! Two exciting creative teams bring you two stories per issue jam-packed with wallcrawling and webslinging! First writer Christos Gage and artist Paco Diaz bring you a domain under siege! The Spider-Queen has won, turning her domain into an island full of Spider-Madness. Peter Parker has been lost, her dangerous gambit all but complete. With Spider-Man defeated and captured, all hope lies in the hands of Flash Thompson – the symbiote wielding hero known as AGENT VENOM! But does he stand a chance? Then, return to a fan-favorite MC2 character as Mayday Parker takes center stage in a new story from her original creators – Tom DeFalco, Ron Frenz and Sal Buscema! 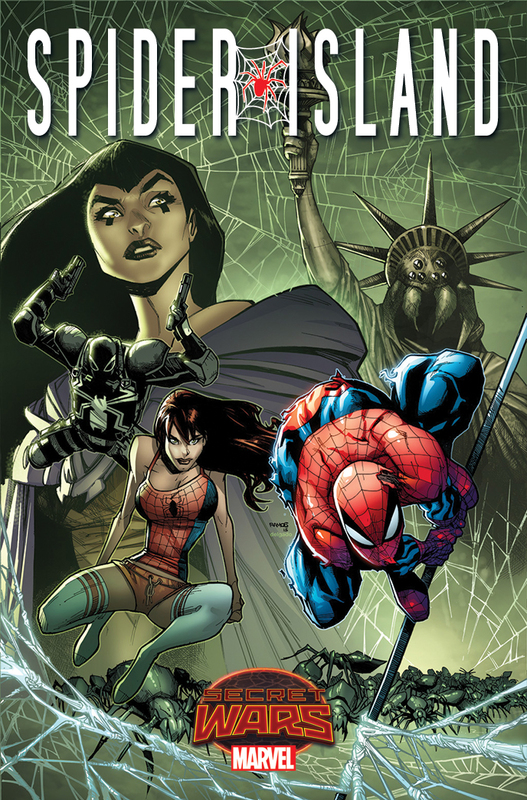 Now adorning the title of Spider-Woman, does May have what it takes to brave the horrors of the Secret Wars! “A good roller coaster ride is promised for all,” exclaims writer Tom DeFalco on his return to the character he helped make famous. It’s a double dose of Spider-Insanity this July as Flash Thompson and May Parker swing into comic shops for the can’t miss SPIDER-ISLAND #1!